Welcome. This site is dedicated to the AMG Mercedes-Benz enthusiast. We strive to keep you informed of recent AMG developments, future advancements in technology, as well as share the history of AMG and MBUSA news releases as they occur. 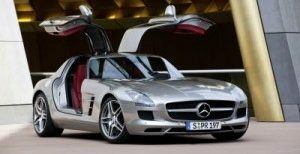 Here you can find AMG articles, AMG vehicle identification number (VIN) information, an extensive history of AMG, press releases, Mercedes-Benz USA news, Mercedes-Benz Club of America links, repair shop recommendations, known repair issues, AMG pictures, AMG videos and related content. Who is AMG Market | Mercedes-Benz Enthusiasts? As such, I receive requests for Mercedes-Benz related information on an almost daily basis. Instead of providing email responses to individuals over and over, I decided to post the information on this site several years ago. And, now we have a great group of AMG enthusiasts taking part in the conversation and content. I hope you find it useful. I’ve had an interest in the AMG models for some time now. I started compiling a database of sales, repair issues/model, technology developments, and related AMG facts. Also, we are now publishing the AMG Market Newsletter, which is a paid subscription newsletter (nominal subscription fee). It’s always a beautiful day somewhere, enjoy the ride.